Tom Baltzer is a Software Engineer with NCAR's EOL working at the Research Aviation Facility. Having been with RAF just over a year, he's still adjusting to the jet setting pace, dizzying heights and occasional turbulence offered by the experience. Tom was responsible for the software side of the HIPPO-1 and HIPPO-2 data system uploads and in field support. Working in close partnership with RAF technicians, other EOL Software Engineers and RAF staff, he makes sure that all data signals are being correctly received, stored and processed for use by the science team. He also assures that the science team has all the software tools that they need to get their work done. Tom keeps his wings under him by leveraging his experience working in remote sensing and scientific application software development as a contractor for JPL, the Alaska SAR facility, Byrd Polar Research Center, NOAA and the US Army Corp of Engineers as well as recent experience working for UCAR's Unidata Program Center. Cruising to that altitude is just part of a day's work for Henry, NCAR's chief pilot. He and the three other pilots on his team-Lowell Genzlinger, Robert Maxson, and Ed Ringleman-fly NCAR/EOL research aircraft: HIAPER, a modified Gulfstream-V jet designed to fly at the cutting-edge of scientific research; and the C-130, a four-engine turboprop built for military transport and adapted for a variety of research missions. Both planes are owned by the National Science Foundation and operated by NCAR. Greg is a Technician at NCAR's Research Aviation Facility (RAF). He works on installing and maintaining the scientific payload on the NSF/NCAR GV. Dr. Cooper will be the onboard mission coordinator for the first part of the project. This role is to serve as a link between the project scientists and the pilots and other RAF crew on the aircraft, to help watch weather conditions as relayed from the ground and from the onboard radar and lightning detector, to provide alerts as appropriate regarding possible safety issues, and just generally to try to bring his past airborne experience into the operations in whatever ways might be helpful. Dr. Cooper has worked with research aircraft for more than 30 years, first at the University of Wyoming where he was a professor in the Atmospheric Science Department, and then (for the last 25 years) at NCAR. His research mostly focused on studies of clouds and precipitation, and he is now the HIAPER (NSF/NCAR GV) Chief Scientist. John is a Technician at NCAR's Research Aviation Facility (RAF). He works on installing and maintaining the scientific payload on the aircraft. You can watch John on YouTube explain how HIMILs (the air intake devices) on the aircraft function and how the atmospheric sampling begins. Bill is one of the lead tech IV's at RAF, been at NCAR since 1982, his first project was JAWS with the Earth Observing Laboratory. Bill works on installing, maintaining and calibrating various RAF instrumentation, with special emphasis on some of the wing probes. He helped with the design and build up all the HIML inlets for the NSF/NCAR GV as well as other projects. Bill recently completed a winter-long deployment with RAF's other airplane, the C-130, to Peoria, IL for the PLOWS project. Jorgen is a Scientist III and the leader of the Scientific Projects Management Group at RAF. For more than 25 years, he has been involved in airborne research of clouds, turbulence, biomass fires, large-scale distribution of trace gases and instrumentation. Scotty will be one of the pilots during the PREDICT camapign. He has many flight hours underhis belt from spending 26 years in the US Air Force flying C-130's and Gulfstreams. Jason is an Aircraft Mechanic supporting the first half of the PREDICT project. He has been with NCAR since 2008 and this will be his 5th field project deployment. 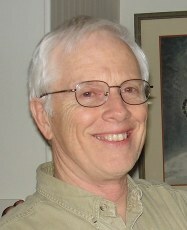 Ed joined NCAR-s Research Aviation Facility in 1984 at the age of 22. Working full-time while attending night college and flight training he came up through the ranks and has held the positions of; Aircraft Airframe and Powerplant Mechanic, Turbopropeller Powered Flight Engineer on the Lockheed L-188C Electra and C-130 Hercules, Company Flight Engineer Check Airman, Director of Aircraft Maintenance, and the past 11 years as Pilot. 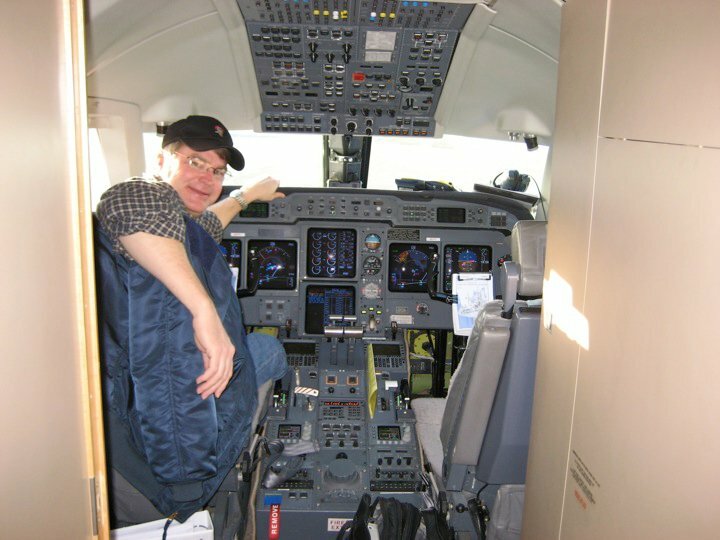 Ed holds an Airline Transport Pilot Certificate with type ratings in the Gulfstream GV and Lockheed L-382 (C-130) Hercules aircraft as well as current Certified Flight Instructor/Advanced Ground Instructor Certificates. While at the RAF he has acquired over 4300 hours of flight experience. The past 25 years at NCAR he has traveled as far north as Thule Greenland, as far south as Tasmania and to remote islands such as Christmas, Guadalcanal Solomon Islands, Wake, Midway, Antigua and Maule Maldives. Travel has also included research projects in Europe and Asia. Ed is one of four pilots that operate NCAR-s fleet of aircraft and the first crew to fly the PREDICT campaign. Dave's primary role is to be one of the four Mission Coordinators on the NSF/NCAR GV. The Mission Coordinator job is to fly with the aircraft and provide guidance to the pilots when flying near weather conditions that have potential hazards such as hail, lightning, strong turbulence and aircraft icing. He will monitor the NSF/NCAR GV measurements, talk with the on-board project scientist/investigator, chat with ground-based meteorologists (who have access to a wider assortment of data) and confer with the pilots to determine where it is safe to fly and options for getting the observations that the PI wants. Dave's other role is to help support three instruments for aerosol measurements (CN Counter, OPC, UHSAS) and the SID-II on the NSF/NCAR GV. Dave has been doing airborne research for about 35 years, including 10 years in Wyoming, 2 years with the Alberta Research Council, 12 years at CSU, and the past 10 years at NCAR. The airborne studies include Alberta hailstorms, summer convective rain, winter wave clouds, air pollution, and maritime tropical trade-wind cumulus and maritime stratocumulus clouds. He also collaborates with other scientists to develop research instruments for airborne use. Mike holds a PhD in Electrical Engineering from the University of Colorado, and he is the Lead Engineer for the Airborne Instrumentation Group at the NCR Research Aviation Facility. Mike makes sure that all instruments that fly on the NSF/NCAR GV and C-130 work properly, and do not interfere with aircraft operations. He is especially interested in signal processing and high speed data acquisition to provide scientists with the most detailed and accurate data possible. During PREDICT, Mike and his team will test one of their new instruments on the NSF/NCAR GV. The instrument is called LAMS, which stands for Laser Air Motion Sensor, and measures wind speed and wind direction several meters ahead of the aircraft, where the wind flow is not distorted by the aircraft itself. Additionally, Mike will be in the field during the experiment to monitor the Counterflow Virtual Impactor. Mike grew up in Hawaii and still loves to surf whenever he gets a chance to spend time at the ocean. In winter, you can find him on the slopes of the Rockies, where he trades his surfboard with a snowboard. Mike lives in Boulder, CO with his wife and two dogs. Briesa works at the Research Aviation Facility (RAF) as an Administrator within the Earth Observing Laboratory (EOL). She contributes to the success of PREDICT by assisting and supporting the crew prior to deployment, as well as being an active support team member during the deployment. PREDICT will be her first field project to which she will travel and actively participate. She is really looking forward to the deployment and hopes that it will be a great opportunity to get some hands-on experience during a field project, while "sponging up" as much information up as possible! Dr. Stith has managed the Research Aviation Facility (RAF) since 1999. 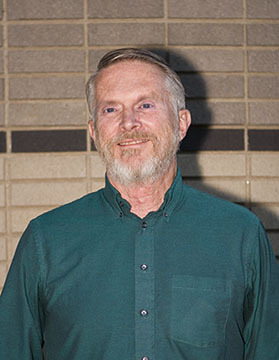 He received his Ph.D. in Atmospheric Sciences in 1978 from the University of Washington and most of his career prior to joining EOL was at the University of North Dakota (UND), where he was the Chair of the Atmospheric Sciences Department (1990 to 1999) and held the title of Chester Fritz Distinguished Professor of Atmospheric Sciences. Steve Thompson is a research Pilot flying the NSF/NCAR GV aircraft, conducting mission planning and coordination with Air Traffic Control. The majority of his flying experience comes from the U.S. Air Force where he primarily flew C-130 aircraft. After dabbling in the airline industry for about a year, he came to NCAR where atmospheric research flying has proven much more rewarding and interesting than passenger transport. Chris is a Software Engineer for the Research Aviation Facility at NCAR. His primary duties are writing data acquisition, data processing and analysis software. Author of the nimbus processor for the aircraft data, ncplot, ncpp and xpms2d for data display and analysis, and of course field support.